And rain. Let’s get some rain. I’ve been hearing about the fires in Alberta, and I really hope that everyone is getting away from it safely. 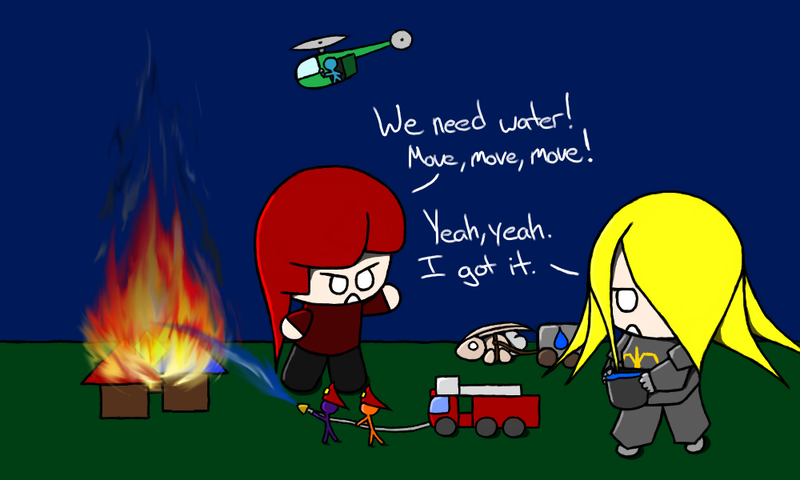 It seems like rain and cooler weather is the only way to really stop the blaze, so let’s all hope for that. 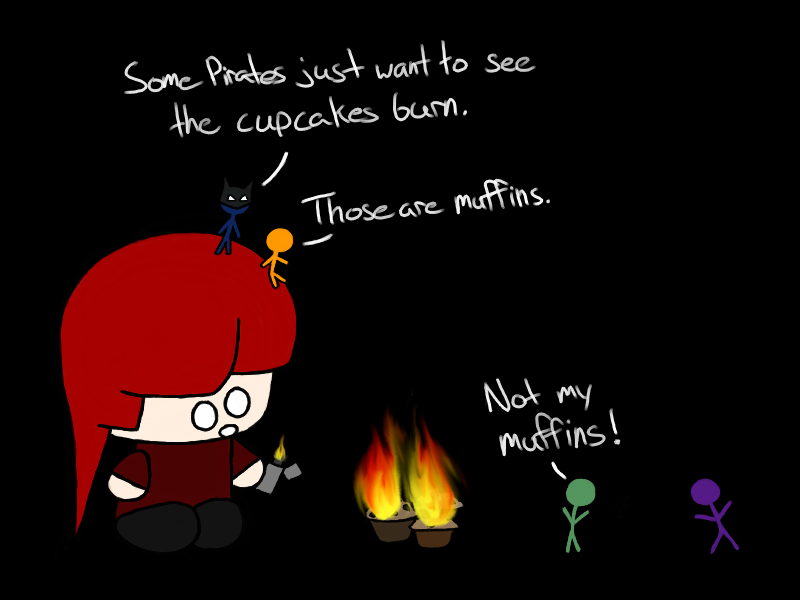 No funny picture today, just a sincere hope for better weather and less fire. I just want to say that marshmallows aren’t actually that easy to eat after you roast them. They make my hands too sticky. 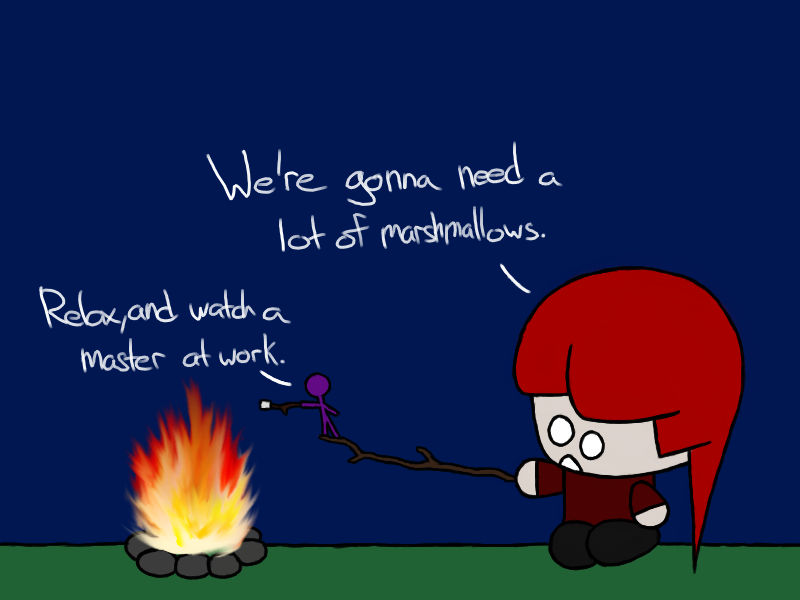 What we really need is a pair of marshmallow tongs for the campfire. That is my thought for the day. I’m sick again. Life is terrible. On the other hand, I ate marshmallows yesterday. There’s nothing quite like roasting marshmallows over a fire until they’re golden brown. But I’m still sick. That’s bad. It’s not quantity, it’s quality. But quantity helps. 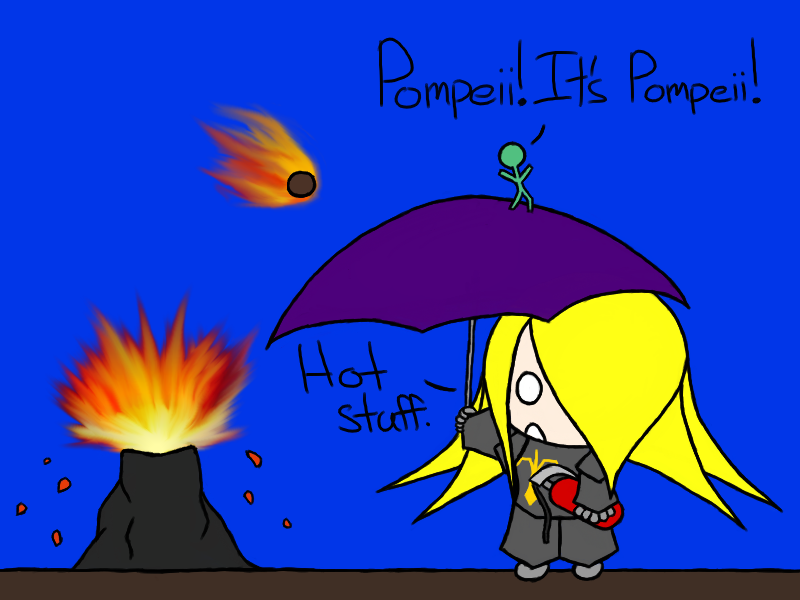 I sorta want to see a volcano explode. From a distance. With binoculars. And a helicopter on standby. But it sounds amazing, and scary. I also want to see a meteor hit the earth, but preferably when I’m not nearby. Forecast: Fiery with a chance of meteors. Time to bring in the squirt guns. I’ve always dreamed of this. Revenge is a dish best not eaten and fried with a flamethrower, in my opinion. 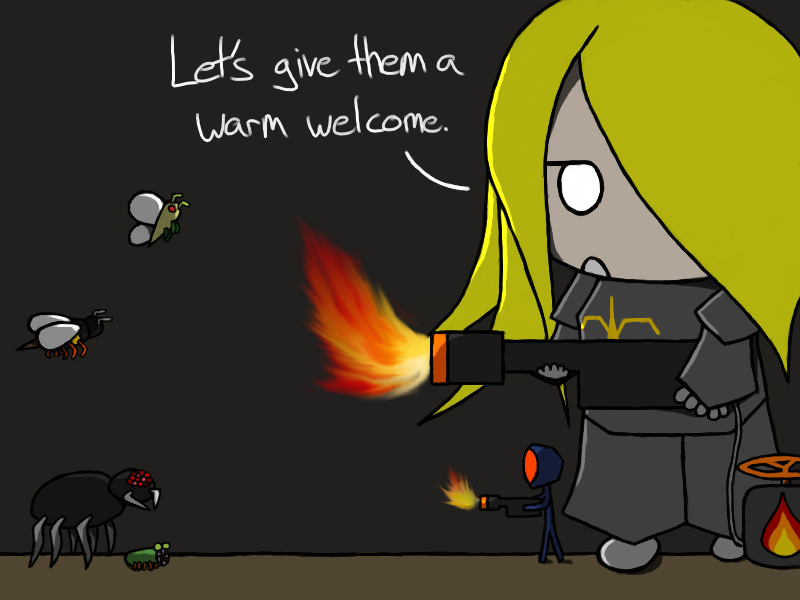 If you haven’t guessed by now, bugs are not welcome on Pirate Blog. Knight’s got a fiery friend! Ever had that one friend who can’t get into the action of the moment? That’s Knight. If it’s not really important to her, she doesn’t really care. 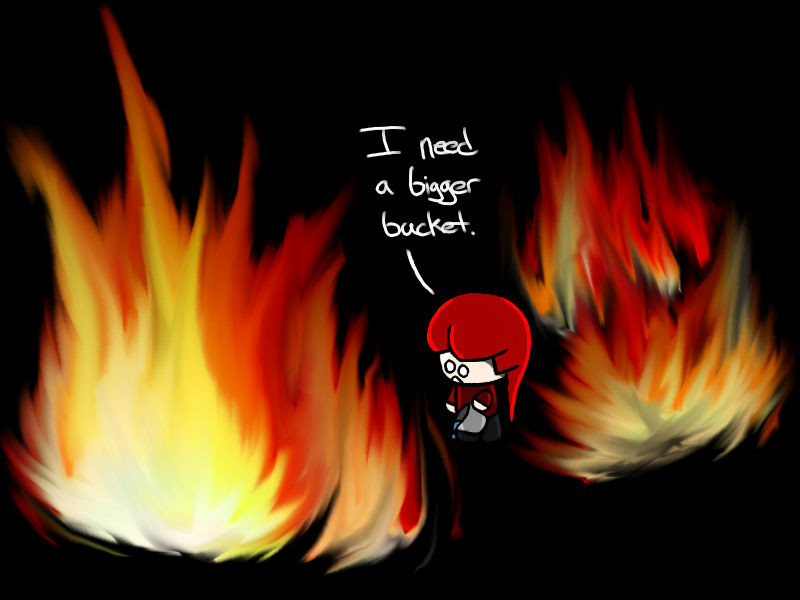 Then again, she could probably stop this fire with just the water in her bucket so I can see her point.